Subtitle: As we seemingly are about to go through the final birth pangs to produce Antichrist, we draw great spiritual strength knowing the truth that God's great Grace is available to His saints at the moment they need it! If we do not have the Grace right now, it is because we are not going through the trouble right now; when greater Grace is needed, God provides greater Grace -- the moment we need it. TIMES OF UNPARALLELED TROUBLES -- "INTOLERABLE ANGUISH"
Today, we are passing through the time of "intolerable anguish" of which the Jesus foretold that would occur at the End of the Age [Mark 13:8]. On every side and every day, we hearing of Wars, Rumors of Wars, Nation Against Nation, Kingdom Against Kingdom [Matthew 24:6-8]. Every day, we hear of warnings about terrorism that are designed to send terror into the heart of every citizen. We hear of natural calamities on every side. We hear unbelievers crying out in fear about economic collapse, war, rumors of war, and disaster on every side. All this news can throw doubt and fear into the heart of even the mature believer. Further, the continuously bad news of the day can begin to heavily weigh upon the heart, soul, and mind of even the spiritually strong. I know what you are going through. I have been daily studying the deepest, darkest recesses of Satanism since 1988. Every day, I studied the occult plan to produce Antichrist, and to deceive the vast majority of people throughout the world -- including Christians! In order to better understand this satanic plan, God led me into a study of White and Black Magic Witchcraft. My heart was breaking, and there seemed no end in sight, no hope for the morrow, and no lightness to break the spiritual darkness. How can a person keep up hope when all around them he can see the moral decay that will one day bring Gods Judgments crashing down? To preserve my soul, I decided upon a daily regimen of Bible Study that would counteract the terrible news of the day and the even more terrible line of study into which the Holy Spirit was driving me. I began to read uplifting Scripture at the same time I was continuing my study of the New World Order. Every day I made a point of studying selected Psalms, or studying Philippians, Colossians, Galatians, or some other wonderful New Testament Epistle. Today, more than ever, we need to be uplifted by Scripture. Today, we need more than ever to seek protection in Gods Precious Promises. We need to revel in Psalm 91, seeking to "dwell in the secret place of the Most High" and praying Gods mighty protection in our lives. Today, we need to be praying the Job 1:10 Hedge of Protection around our lives, our family, and our spiritual leaders. Today, we need to be soaking up precious devotional materials whenever we can find a preacher and teacher true to the Word and able to richly express Gods insights. Today, I would like to introduce you to just one such man, Brother Ed Miller, a Bible teacher and preacher, and all-around wonderful Christian to whom God has given much insight into His Word and blessed him with His providence. 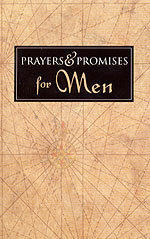 Today, I would like to share some gems from one of Brother Millers devotional books, for your enrichment. Let us examine relevant portions from Brother Millers book, "Gods Dawn For Every Darkness: Morning-Fresh Glimpses Into His Gracious Heart". Let us now peruse this rich material. 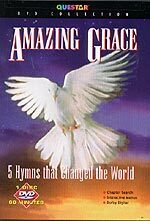 In his chapter, "When I Am Afraid", Brother Miller begins with a short segment on Gods Grace, entitled, "Sufficient Grace for the Perfect Time". Since we are always concerned about how we will hold up when the time comes for our persecution and trial, Brother Miller offers us some pertinent and reassuring insights. What reassurance! Brother Miller is speaking Gods Truth when he says that God will provide exactly the right amount of Grace to see us successfully through the trial, but will provide this Grace only at that instant when we need it! Not before! Brother Miller then looked to the Apostle Paul for enlightenment. We sing a wonderful hymn in this vein, do we not? "Sin and despair, like the sea waves cold, Threaten the soul with infinite loss; Grace that is greater, yes grace untold, Points to the refuge, the mighty cross." And, the lovely refrain: "Grace, grace, Gods grace, Grace that will pardon and cleanse within! Grace, grace, Gods grace, Grace that is greater than all our sin." Brother Miller then speaks of Jesus Lovingkindness. It is good to pause now and then and look back over our lives, with an eye on the Lord and reflect how faithful He has been. Let me call your attention to Psalm 136. It begins and ends with thanksgiving and throughout, this phrase is repeated twenty-six times: The lovingkindness of the Lord is everlasting. This last line really struck a chord with my heart, for I remember well standing in front of my beloved Mothers grave marker for the first time since she passed away. On that simple marker, she had wanted only her name and the years of her life. As I looked at those years, 1921-1974, I startlingly realized that all of Momas life was between those cold, impersonal dashes. All the times Mom laughed, and loved, and lived, were now gone from record, replaced only by that cold dash! All Moms dreams, aspirations, disappointments, and triumphs, were now gone, replaced by that cold dash. All Moms service to Jesus Christ was gone, hidden between the dash. But, Brother Miller is saying that, in our Saviors beloved accounting, in Heaven, the memory, the record, of Moms service to Him is NOT gone, but is wonderfully recorded for eternity. At that moment in Glory, "only that which has been written between the lines will endure". Now, our dear Brother turns his attention to Prayer, in a segment entitled, "Gods Burdens Are Prophecies". What did Brother Ed entitle this section? "Gods Burdens Are Prophecies". When God burdens you to pray for someone or some situation, He is creating the situation where He will be glorified when He answers your prayer. You may not live to see the full answer, but God will receive the glory when your prayer is finally answered! And, just as God ensures that all prophecies are fulfilled, so will He ensure that He will lift every burden He has placed on every heart! When the Lord answered Moses prayer, He actually brought much darkness into Moses life. It must have been dark in the cave already, but when Gods great hand covered the entrance of the cleft, how dark it must have become! We pray for light, God sends darkness and shortly afterward we experience His wonder goodness pass by. Our prayer is answered. We have seen the glory of the Lord. The light we sought came in the form of darkness, and by it, we behold His glory. Oh, how wonderful are His ways! Our nation, and the entire world, is about to pass through the deepest darkness in all of mans recorded history. After rejecting the true Lord Jesus Christ and His immutable Bible, man is about to embrace Antichrist and his thorough deceit. Man has cast away the Son of Light and is about to experience the deepest darkness imaginable. Mankind has sown the wind, and is about to reap the whirlwind. During this time, millions of ordinary Christians are going to pass through the final birth pangs of Matthew 24:8 that will produce Antichrist, and believe me, these trials will feel like the judgments of Revelation. At this greatest moment of disaster and darkness, we will receive Jesus unparalleled Grace that will enable us to go through these trials in such a way that will bring glory and honor to Jesus Christ, and will bring us to the greatest light possible, the Light of Glory! "He giveth more grace when the burdens grow greater; He sendeth more strength when the labors increase. To added affliction, He addeth His mercy; To multiplied trials, His multiplied peace. When we have exhausted our store of endurance, When our strength has failed, ere the day is half done, When we reach the end of our hoarded resources, `Our Fathers full giving is only begun." "His love has no limit; His grace has no measure. His power has no boundary known unto men. For out of His infinite riches in Jesus, He giveth and giveth, and giveth again." God, by grace, fed it to him [Ezekiel 3:2]. At last, by the grace of God, Ezekiel was enabled to swallow the scroll God had instructed him to eat, and when he swallowed it, the bitter scroll was transformed into the sweetest thing Ezekiel had ever eaten. Gods will for Ezekiel became sweet as he appropriated it. That which was difficult to swallow at first, became sweetness itself." "We should not fear the Will of God. It is only to our mortality that the scroll seems bitter. Gods purposes are as wise as they are loving, and His name and reputation are advanced as we consume the scroll that He hands down to us, whatever may be written on it. If you fear the things that have been decreed to you, you fear needlessly. Eat the scroll, and in eating, may you discover the sweetness of His will as you acquiesce to His purposes for and through you!" My heart and soul can only say, "Amen!" to Brother Millers Christlike Wisdom! When I saw the direction the Lord was taking me in 1988, I felt like I was being asked to eat a bitter scroll, for I was studying the demise of this great nation, and the kingdom of Antichrist, the Kingdom of the Enemy of our Souls. The scroll was not only bitter, it was continuously  daily  bitter. But, I have persevered through the years with this ministry, and now stand in awe of the sweet spiritual fruit God is realizing. Now, we are seeing over 12 people per hour reading a Salvation Page, as they were convicted by what they read and immediately sought the saving face of our Lord and Savior, Jesus Christ! We are seeing nearly 3,000 people read a Salvation Page from our Portuguese language site, great numbers from our Spanish site, and from our Finnish site. But, our hearts break for the people who have rejected Jesus Christ and are now walking down the path to Gods judgment, oblivious to the peril into which they are striding. These people will drink of Gods judgment, "undiluted" as Jesus warns in the Book of Revelation. It is to these people we reach out with strong warnings, with tears and with pleadings that come straight from our soul, and from the pages of Holy Scripture! "Lord, if you are spreading your glorious Gospel at such a rate, extend the days available so we can see even more souls won."